Sales force automation software is used by sales teams to optimize their sales strategy by offering agents powerful automations to streamline certain processes. This makes it easy for businesses to create optimized workflows that ultimately improve the likelihood of increasing conversions. Some use CRM software; however, there are subtle, but significant reasons for using one sales CRM software over the other. The reason businesses look to optimize workflows is to improve the overall customer experience. When sales agents have the tools they need to focus entirely on offering a personalized experience, sales prospects tend to react positively, which ultimately results in higher conversions. The tools these agents use most often are sales automations. Many people believe that sales force automation software is built specifically for larger businesses because of their higher prices, but that’s not true. There are tons of benefits for SMBs, and these benefits tend to outweigh the negatives. Small businesses in particular benefit from this software because these automations make it easier for small teams to handle larger workloads without sacrificing any attention to the smaller details that can make or break a deal. 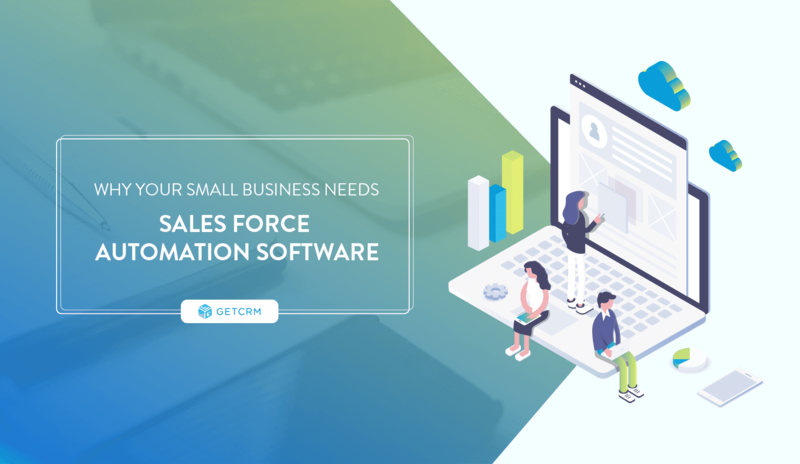 Here, we’re going to break down why your small business should consider sales force automation software now. Before we dive deeper into why sales force automation software is a necessary buy for small businesses, we need to discuss how it differs from CRM software. These differences are subtle, but necessary when determining if SFA software is right for your small business. CRM software is used primarily for contact management. This means organizing contacts, automatically storing them in an easily-accessible database that can be shared between agents and managers, lead scoring, and much more. There are tons of integrations that come with CRM software to make it easier for teams to incorporate existing data from other programs into one unified software and dashboard. Freshworks, in particular, specializes in visualized, customizable sales dashboards. Sales force automation focuses on automating business sales specific tasks such as sales processing, and tracking of customer interactions, as well as analyzing sales forecasts and performance. All of these automations matter to sales agents because they need to be able to prioritize their attention to their leads and customers in order to improve the overall experience. However, these time-consuming tasks can’t be ignored either. That’s where sales force automations come into play. So what exactly are the differences? Both seem to focus on making the lives of the agent easier. More often than not, the best SFA software incorporates elements of CRM software while the best CRM software incorporates elements of SFA software. The difference is where in the pipeline you want to optimize. If you’re looking to optimize the beginning of the pipeline, you want CRM software to determine which contacts are important for the sales team to pursue. If you’re already pulling in tons of leads, you want SFA software to optimize workflows and maintain lead growth so agents can focus on offering a personalized experience. In short, CRM software focuses specifically on contact data management, whereas sales force automations focus on the user experience and the pipeline. Now that we know what those differences are, let’s break down what specific features your agents need from sales force automation software. Chatbots are often used by sales teams to start a conversation with a lead on a website or social media. Today, they’re powered by AI, which makes them much more personable and helpful. They can even direct leads to an already-waiting agent to streamline the entire sales process. You can check out Freshchat’s live chat services to learn more about what goes into a quality chat service, or you can check out our Intercom vs. Zendesk head-to-head article to see how industry-leaders and up-and-coming providers are changing the game. According to Smallbiztrends, placing a call to a new lead within the first minute increases the chances of gaining a conversion by a staggering 391%.” Instead of having an agent remember to make that call when their schedule is already packed, a chatbot can initiate the conversation and direct the call to the agent automatically. Follow-ups are just as important as starting up a conversation when it comes to generating new leads. It also plays a significant role in maintaining current customers. If a lead is showing interest in a product, a chatbot reaches out to them, and they’re unsure if they’re ready to commit, the worst thing an agent can do is move onto the next lead. They should make it known to the lead they’re available at any time for further questions, and then reach out a day or two later to see if anything’s changed. It’s also important for maintaining customers because businesses save tons of money by building a strong foundation of repeat customers. It costs a lot more to generate leads than it does to maintain current customers. Automated follow-ups that come with sales force automation software make this process so easy for agents. All they have to do is set certain parameters like scheduling a previously-made email to be sent out two days after the initial contact. This feature can be found in both SFA software and CRM software because of how effective it is for sales agents. Sales forecasting looks at all the data your business gathers and determines what direction your business is heading in — if you’re going to meet your short-term or long-term goals, if you need to change your business strategy, or if everything is smooth sailing. Agents and sales managers can do this on their own by following certain metrics that can be solved with standard formulas; however, sales force automations are starting to take advantage of AI, which makes computing and analyzing all this data instantaneous. You typically can pick and choose which metrics you want to follow, and then the software will lay out that data in a visually-appealing graph, chart, or table that’s easily accessible to the entire team. The amount of time spent doing this manually can finally be used to take advantage of other important tasks. The sales pipeline is a visual tool for sales managers and agents looking to see where exactly each lead lies. There are certain stages that leads pass through that are determined by the business, and the goal is to get the leads through those stages as quickly as possible. One way of doing that is by limiting the number of stages a customer has to go through in order to buy a product or service. Having a visual aid is key for many agents and managers. Sometimes processes sound good when they’re explained in person, but if leads are left waiting for unnecessary follow-ups, or they’re given too many alternatives, you can eliminate these steps to streamline the entire process and get them to make a purchase faster. The faster a lead goes through the pipeline, the easier it will be to focus on new leads if your follow-up game is strong and you’re good at retaining customers. Workflows are another visual aid for agents that are more catered to the sales force automation side of things. Workflow creation and management work similarly to the sales pipeline, except it’s more focused on what the agent’s day-to-day tasks are rather than how a lead moves through the buyer’s journey. 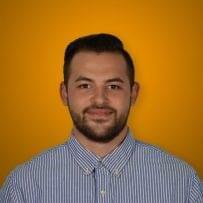 Freshsales, for example, started offering intelligent workflow management back in 2017, and they love to work with small businesses. SFA software is important for businesses looking to optimize their workflows because this helps agents focus more on the lead or customer rather than simply getting through their day. Agents that are allowed to focus more on the lead are more capable of offering a personalized experience, which is what most people are after today. This will also help managers delegate tasks between agents much easier, so everyone’s working on something, and no one has too much work. This important feature comes with most SFA software, and it should never be overlooked. Affordability is an issue that comes into play when SMBs are determining whether or not sales force automation software is right for their business. Prices are typically high, but more and more sales automation software providers are offering pricing plans catered specifically for SMBs. They do this because they know how much of a difference their software can make in the sales process. However, the features we’ve mentioned on top of the integrations, apps, and mobility capabilities make the software a worthwhile investment. When done right, the potential money the software can generate might be enough to at least ease the burden of the monthly costs. As we’ve said before, maintaining customers is more cost-effective than finding new ones. Having a steady flow of leads is also important, as well as having a system that determines which of those leads are worth pursuing and are more likely to remain a customer long-term. Providers go beyond Salesforce as well. Check out our list of ten Salesforce alternatives for SMBs interested in sales CRM software. When you’re a small business, having the ability to generate leads, maintain customers, and automate time-consuming, but necessary tasks like follow-ups is key to optimizing your sales strategy. Sales force automation software makes it easy for small teams to handle large workloads that would require more man/woman power. Eliminating these costs and streamlining your sales strategy should really make you consider purchasing the software. If you’re interested in comparing prices, our sales automation page can help lead you in the right direction. Freshsales also happens to be the number-one-rated sales automation provider. We’ve made a lot of claims about the importance of sales force automation software, which means we have to back these claims up with facts. We’re not here to get you to buy this software; we’re here to make sure you’re making the right decision for your small business. If you don’t think you need the software, that’s fine, but one thing you can’t look past are these sales statistics that should, at the very least, get you to see why sales automations are so necessary going forward. What this says is that one of the most important parts of the sales process is the most difficult process. For small businesses looking to increase the number of customers they have, this would require either a bigger team they can’t afford or sales force automation software that makes lead prospecting more seamless thanks to lead scoring features. This might very well be because of the fact that agents don’t have enough time to follow up more than once. Small teams usually have large workloads, which means if leads aren’t committing after the first follow-up, they’re forced to move on unless they want to fall behind. Unfortunately, this is a costly mistake that can easily be solved with SFA software capable of taking the entire follow-up process over. The more small businesses take advantage of sales analytics, the easier it will be to offer a personalized experience. Analytics offer agents context, which makes for more meaningful interactions with leads who are looking for those kinds of conversations. Providing agents with accurate data is never a bad thing; however, inaccurate data can leave a significant impact on your business, and not in a good way. SFA software, when used properly, ensures there are little to no errors when generating reports. Live chat features are another great tool that SFA software often offers users which helps connect leads and sales agents faster. Agents responsible for these inquiries help leads by answering any questions they have and by directing them to other agents on the phone or to a product page. The easier it is to establish quicker communication channels, the easier it is for companies to meet the high expectations of their leads and customers. Many people look to small businesses because of the intimate connection between the team and the lead or customer. If, however, the team is trying to obtain new customers or main close relationships with current ones and they aren’t using SFA software that can gather customer data more efficiently, they’re putting themselves at a significant disadvantage by not offering a personalized experience. This is why contact data management is such an important strategy to implement. 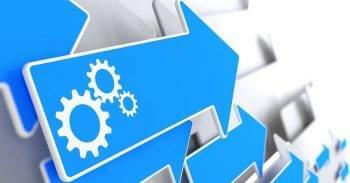 Sales force automation software is a powerful and necessary tool for small businesses. Many business owners are skeptical to purchase the software because they’re afraid of the high monthly costs. However, statistics show that SFA software can optimize sales strategies that can make up for some of the costs, providers are creating plans tailored specifically for small businesses, and the number of users required to make the software successful is lower than you think. Because of these reasons, there’s no reason why you should wait on purchasing SFA software. The sooner you do it, the sooner your agents can take advantage of the powerful automations that will make their lives easier and increase the odds of them converting more leads into customers.